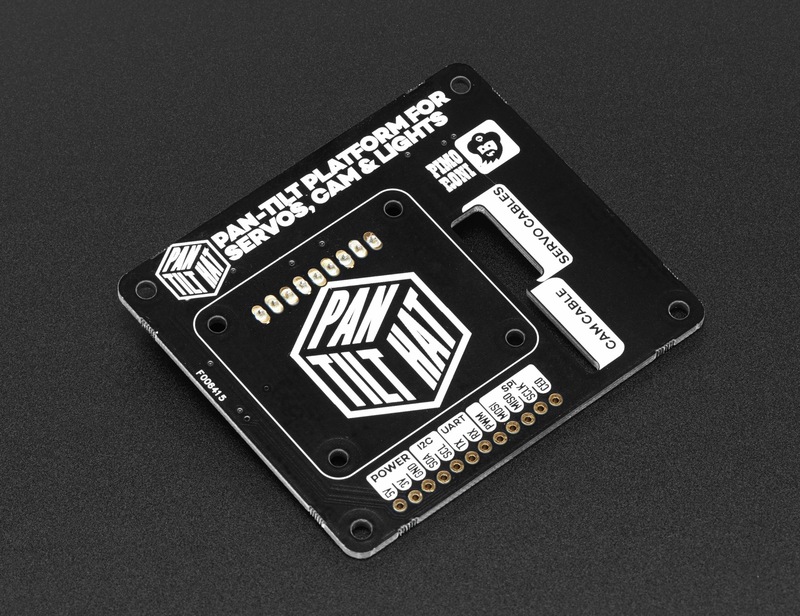 NEW PRODUCT – Pimoroni Pan-Tilt HAT for Raspberry Pi – without pan-tilt module « Adafruit Industries – Makers, hackers, artists, designers and engineers! 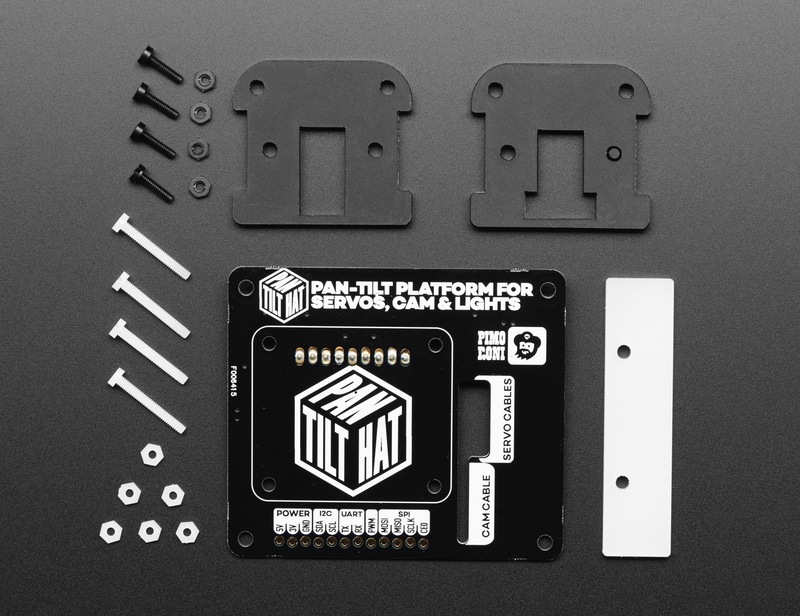 The Pan-Tilt HAT from Pimoroni lets you mount and control a pan-tilt module right on top of your Raspberry Pi. 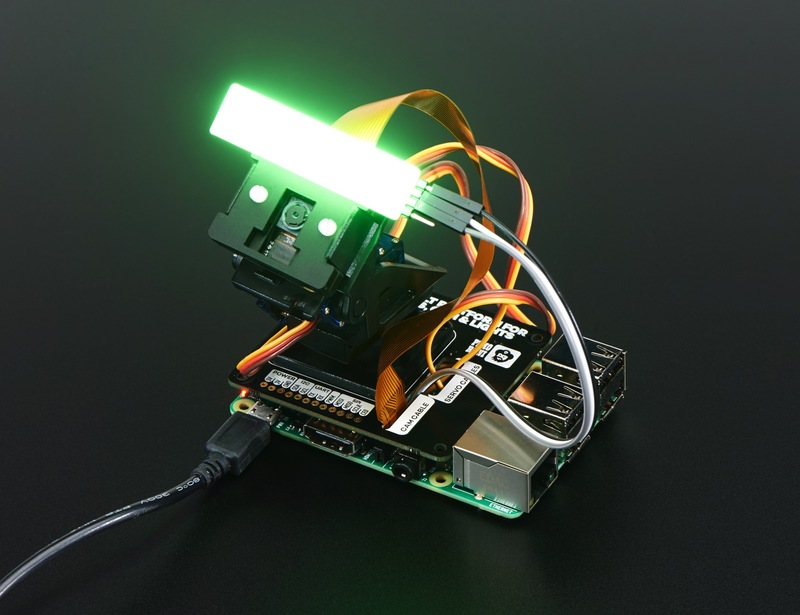 The HAT and its on-board microcontroller let you independently drive the two servos (pan and tilt), as well as driving up to 24 regular LED (with PWM control) or NeoPixel RGB (or RGBW) LEDs. There’s also a handy slot through which you can route the servo, LED, and camera cables. The module pans and tilts through 180 degrees in each axis. Use Pan-Tilt HAT with a Pi camera for face-tracking, or mount it on top of your roving robot as a set of eyes. Ideal for a mini CCTV system, it will allow you to control the movement of your Pi camera with minimal fuss. Or why not just stick a foam sword on top and make it swashbuckle?! There’s absolutely no soldering required (unless you decide to use a NeoPixel strip or ring with it), as the servos on the pan-tilt module have female jumper wires attached and they’ve soldered a strip of right-angled header pins to the underside of the HAT to connect them up. 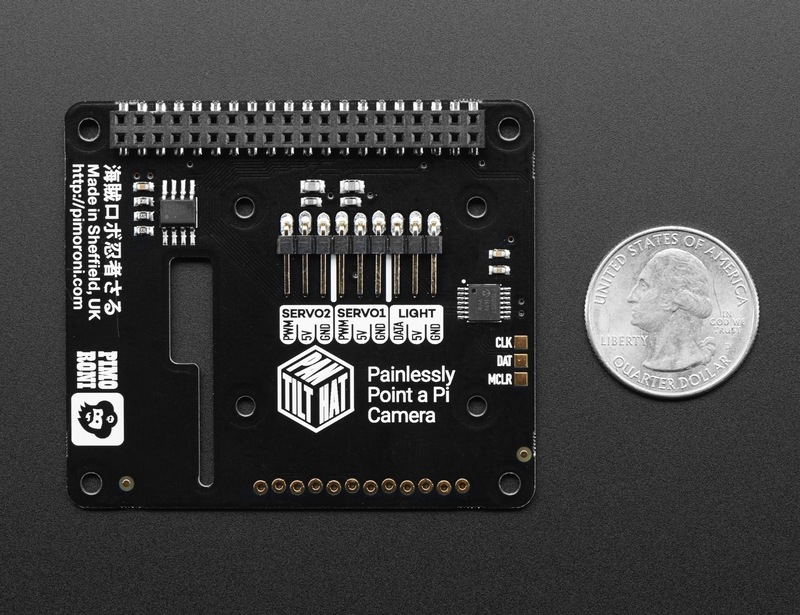 Note that the Pi camera, mini pan-tilt kit, NeoPixel strip, and Pi 3 are not included. You’ll need to pick them up separately!